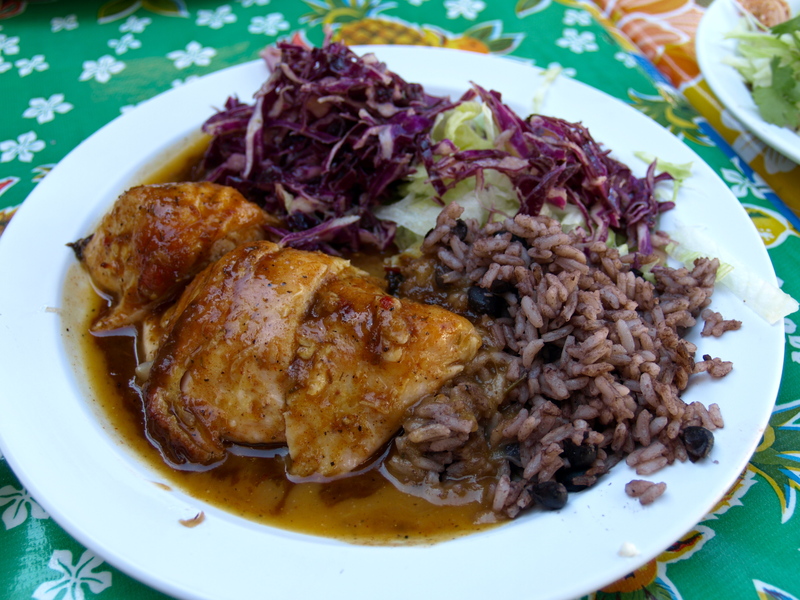 Lucky Taste Buds has been going through some rough patches and disappearances lately, but I hope that you’ll keep me on your Google Reader or visit occasionally because sometimes, I WILL share something useful! Dental school has kept me busy, but if I’ve been learning all this “good stuff”, I figured all you food-lovers and health-lovers would also appreciate some good oral health care tips too! Three fabulous foods you never knew could prevent cavities! Yup, protein and fat. The combination (free of sugar) is actually anti-cariogenic! (which means, anti-cavities!) Another fabulous reason to eat cheese I guess. Whether it is xylitol gum or xylitol mints, these are great to pop in your mouth after a meal if you can’t brush. Personally, I do both, but I find that chewing gum encourages my teeth grinding habit, so sometimes I go with mints during more stressful periods (exam time) when I know I tend to grind more! 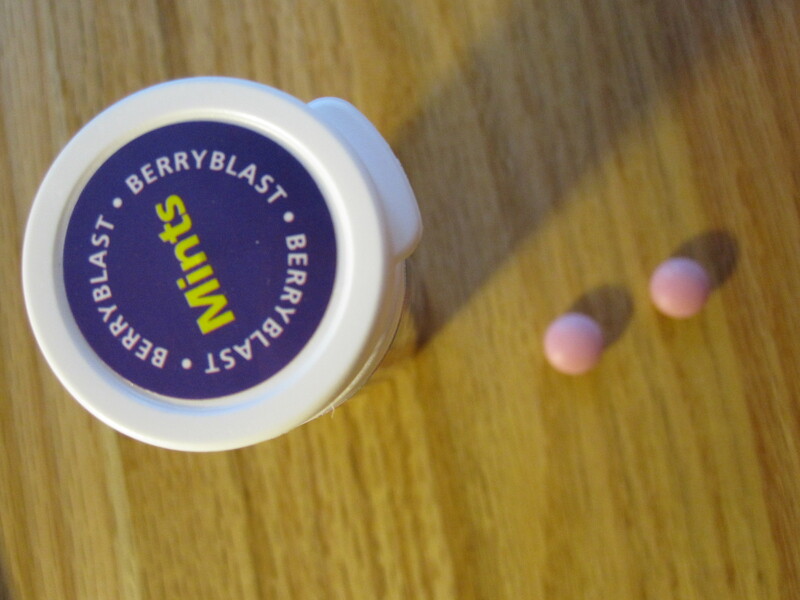 Spry makes delicious mints in many flavors, including peppermint, lemon, and berryblast! Trident also makes gum with xylitol in it now! Nope, not the chocolate that is full of sugar and milk, but the real stuff. Dark, wholesome goodness. 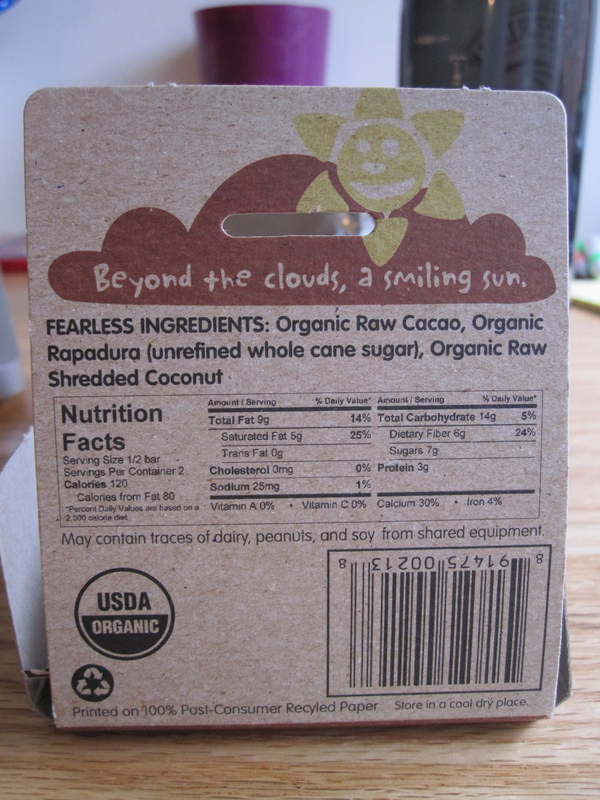 Fearless Chocolate makes 5 dark chocolate flavors, all raw, all organic, and all dairy-free!! All the bars are 2 servings and 120 calories per serving. 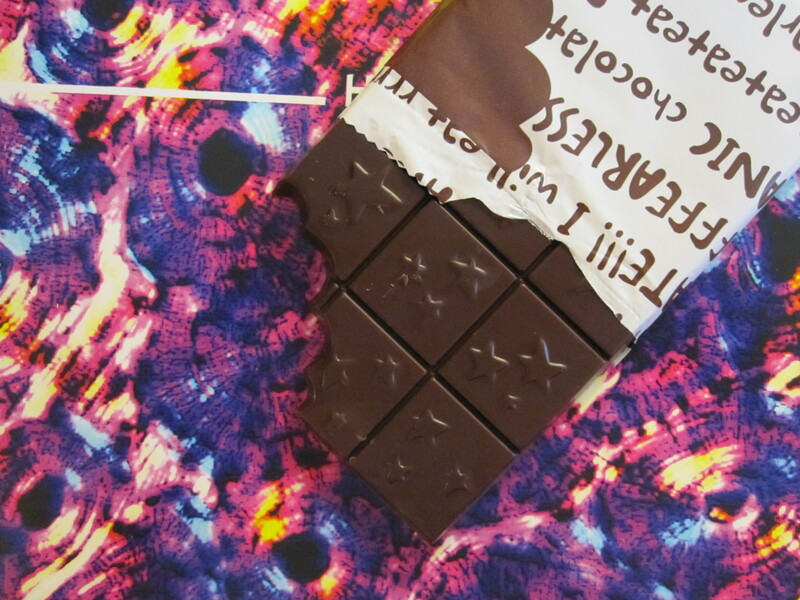 75% Cacao Dark as midnight Great for those who love dark chocolate straight up. This was one of my favorites! 70% Cacao Matcha Green Tea Peppermynt Though not as green tea heavy as I would like it to be, still a refreshing, unique flavor that I enjoyed. 70% Cacao Super Seeds (with Chia AND hemp seeds!) I know, I know, seeds are good for ya, but this flavor took me a while to warm up to. It had a nice crunchy texture but the seeds kept getting stuck in my teeth! 70% Cacao Sweet and Hot (with Hibiscus and Ginger) I can’t say anything good about this flavor so I’m gonna keep my mouth shut. I honestly didn’t enjoy this one much. 70% Cacao Exploding Coconuts This was my #1 favorite. I am NOT a coconut lover, but the shredded coconut in here just works wonders. And because I know everyone is interested in some stats and ingredients. Here is my favorite flavor and its nutrition label. The other flavors don’t deviate much from this awesome, short, wholesome ingredient list! 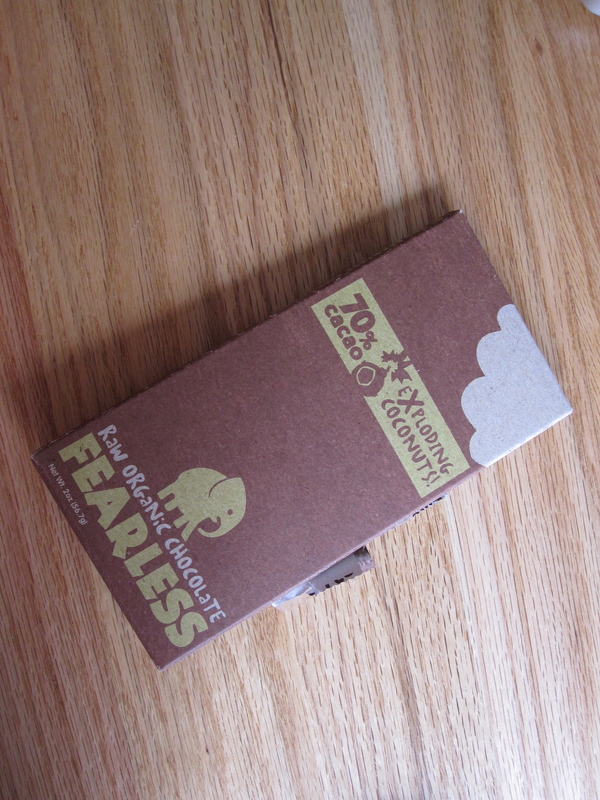 Thank you Fearless Chocolate for providing the samples. Rest assured that all opinions above are my own and I was not subsidized or compensated in any way for this review. Two weeks into classes at dental school and already, I have never felt like I worked so hard yet had THIS much fun learning as I do now! 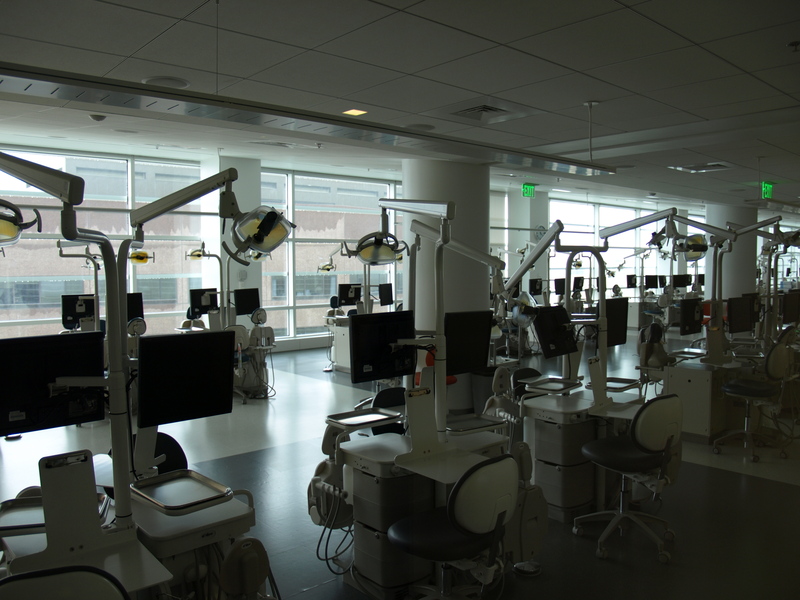 Here are 5 things that even I didn’t know about dental schools and dentistry before school started! 7. Dental school folks know how to work hard (really hard)…and play hard too! 5. Dental school is 4 years and we need to pass the national boards (after 2nd year and after 4th year) to be able to graduate, just like in medical school. 3. Dental students practice giving EACH OTHER injections (mostly during their 2nd year of school) before they ever inject a patient. 1. If you’re like me, after dissecting a human body, you have NO desire whatsoever to eat anything that has blood or animal fat. The current dental school diet for me consists of: Plenty of bars, PB & jelly banana sandwiches, and take-out. 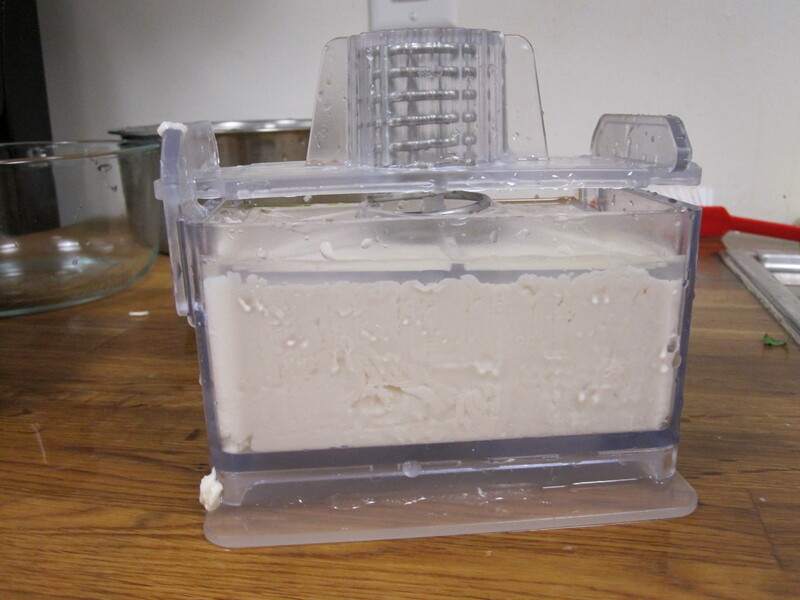 This would be my new Tofu Xpress tofu press, containing SILKEN tofu! Yes, silken! I was shocked to find that not only did this contraption get all the liquid out of my soft, silky tofu block, it didn’t crush it to pieces! I was able to take out the whole block of tofu in one block. The only complaint is that it takes some womanly muscles to push that springy lid all the way down to lock under the plastic wings. It’s been a few months since I last updated. I know I’ve been MIA with the comments but I’ve been following you all – yup, even through the HLS, which I unfortunately missed due to travels and moving. 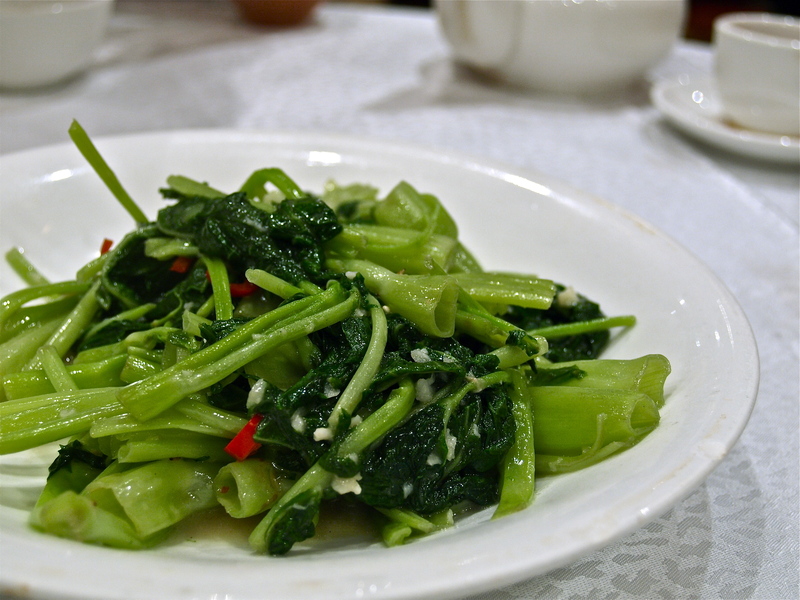 Garlic “Tong Choi” from Fuk Lum Moon, HK dimsum restaurant. 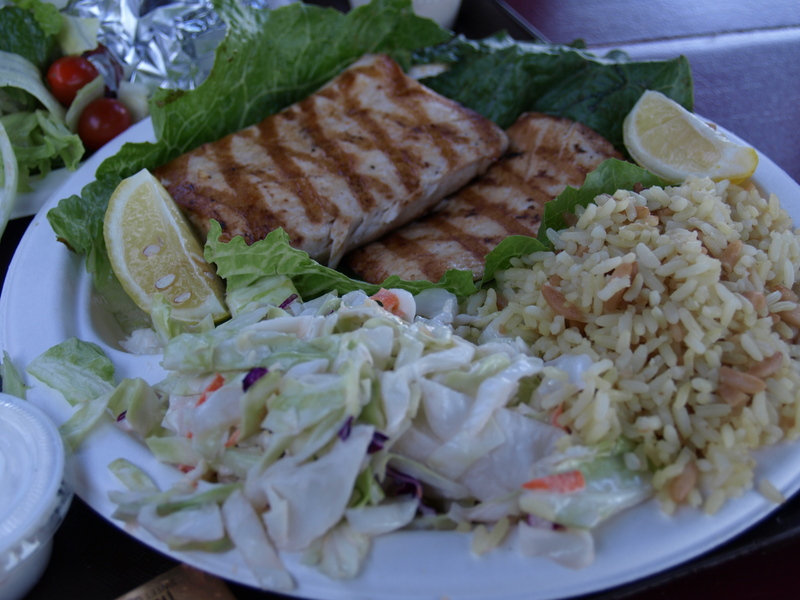 Grilled MahiMahi with Coleslaw and Rice Pilaf from Malibu Seafood. Cha Cha Chicken from Cha Cha Chicken at Santa Monica Pier. On a side note, CSN has a lot of options for twin beds for me to furnish this little home of mine at a good price! Oh Manna. This ain’t your ordinary bread. 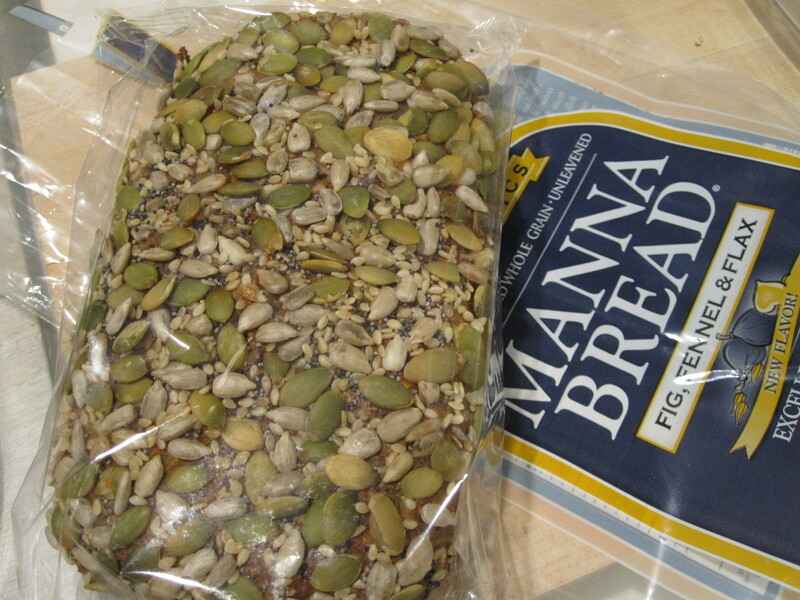 I like to think of Manna Bread as the healthiest, most wholesome, nutty delicious flour-less vegan cake-like organic bread you can possible devour. Except it’s not cake. This is 100% “bread” because Manna breads have no grease, no sweeteners, no eggs, and no salt. 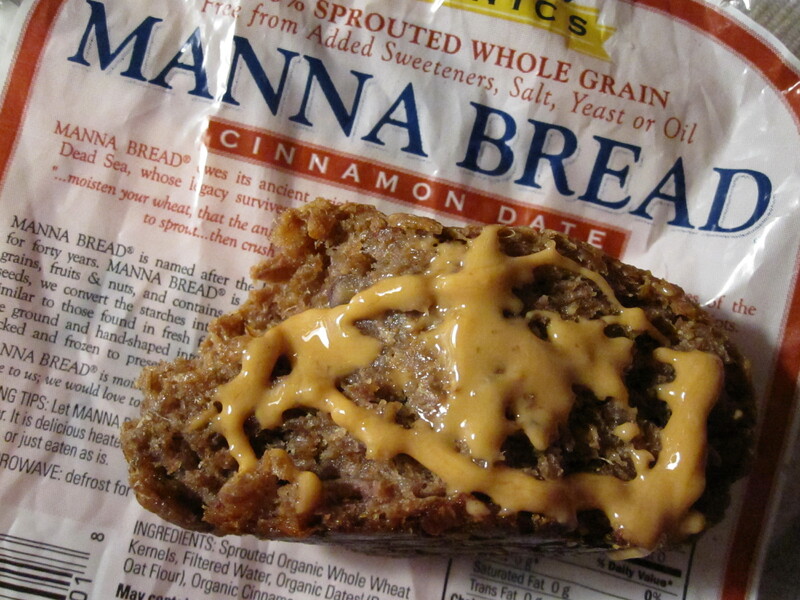 Manna bread does NOT contain: No salt, yeast, oils, sweeteners, leaving agents, anything artificial! Manna Bread comes in 9 flavors: Banana Walnut Hemp, Carrot Raisin, Cinnamon Date, Fig Fennel Flax, Fruit & Nut, Millet Rice, Multigrain, Sunseed, and Whole Rye. The Pros: The breads really are delicious (read: addicting), filling, high in protein, high in fiber, all-natural, nutrient dense, nutty, in short, WORTH every penny!! The (Only) Cons: These loaves come smaller than your average loaf of bread and are NOT pre-sliced. I have difficulty stopping at a single piece or two because they taste so good!! For those a little afraid of portion control, make sure you slice it or weight it or stash it away once you’re satisfied! Ingredients: Filtered water, organic whole wheat flour, organic rye flour, organic multigrain blend (organic whole wheat, organic rye, organic barley, organic oats, organic flax, organic millet, organic buckwheat), organic flaxseeds, sea salt. Ingredients: Organic rye flour, filtered water, sea salt, organic caraway seeds, organic fennel seeds, organic coriander seeds. Tastiness: 9/10. This was one of the best savory, smooth, hearty sourdough breads I’d ever tasted. 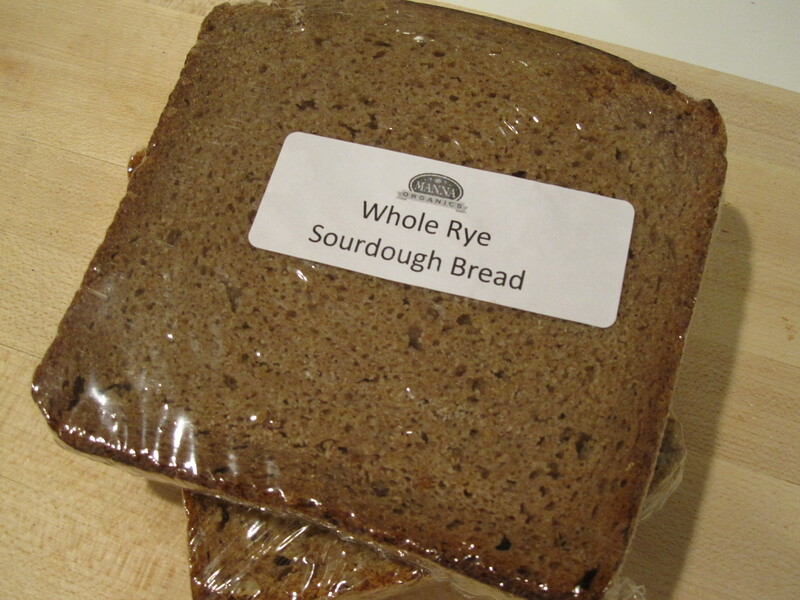 The flavor was not too tart like sourdough bread can be with a deep rye aroma. Wonderful when topped with hummus! Tastiness: 9/10. 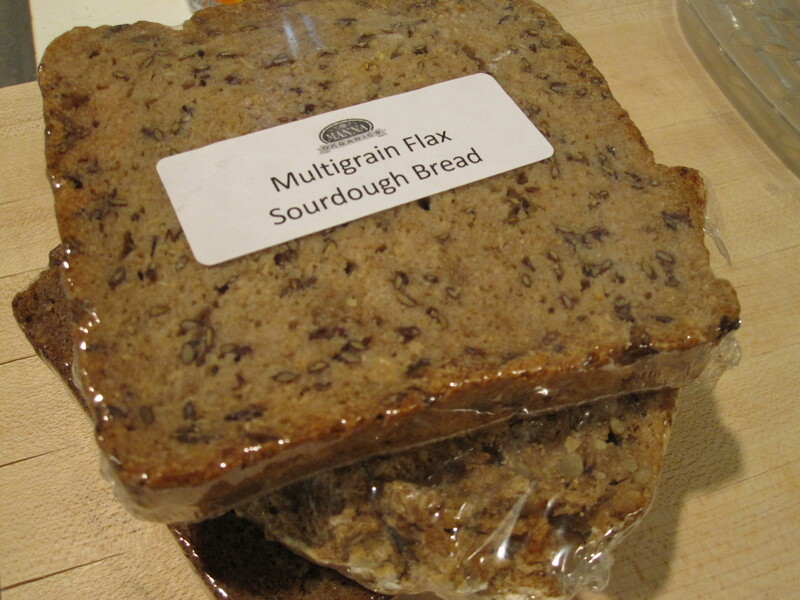 This is everything I wanted in a nutty, sweet bread that is high on chew and doughy factor. It is definitely not as cinnamon-y or date-filled as I would like, but paired with some pumpkin butter and your own sprinkling of dried fruit, this is wonderful dessert bread. Perfect for an after dinner treat! Tastiness: 6/10. This bread fell short of my expectations because it wasn’t half as banana-flavored as I’d like. 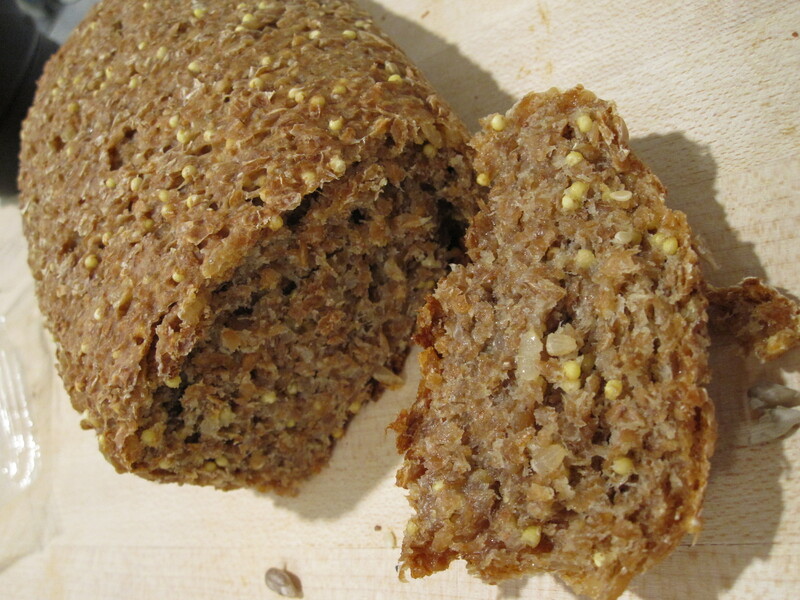 However, the bread was still tasty and studded with lots of walnut pieces. This flavor isn’t as succulent and sweet as several other flavors, such as the fruit and nut or the cinnamon date. If you’re craving some real banana flavor, try topping the loaf with some fresh banana slices! Tastiness: 7/10. A textural PARTY in my mouth! 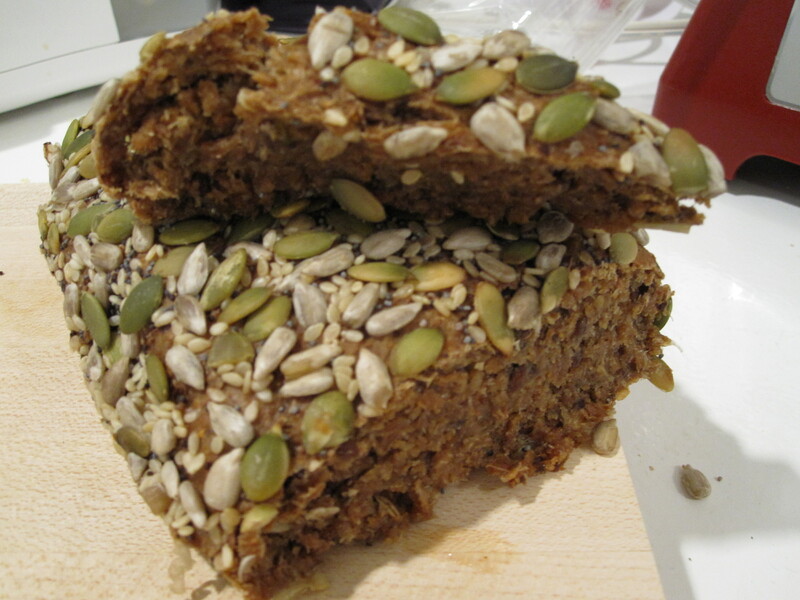 Ultra moist, dense, and absolutely loaded with crunchy pumpkin and sunflower seeds over the top while the inside is studded with crunchy flax seeds. Initially, it doesn’t seem as sweet as the name promises and I didn’t feel the fig represented in the loaf, but the next couple bites sealed the sweet deal. However, I’m not a fan of the fennel in sweet bread so the heavy fennel flavor was a no-go for me. Tastiness: 8/10. This loaf has the most sugar nutritionally out of all Manna bread flavors, mainly coming from the organic raisins and dates. However, being someone with a sweet tooth, this bread was perfect as a dessert, sweet snack, or breakfast. PERFECT when topped with peanut butter! Tastiness: 8/10. Flavor-wise, this had a hint of sweetness, was nutty and mild. The versatile bread could use a topping or two in order to play up either its sweet or savory characteristics, but it is also delicious on its own. Texturally, the millet rice provided a ton of crunch to it, almost to the point where I felt like the millets were designed to get stuck in between my teeth. 2. How long can Manna Bread keep for? 3. Why is the bread so sweet if Manna doesn’t use sweeteners? The sweetness of Manna Bread® is solely due to their unique sprouting process, which converts starches into maltose and other complex carbohydrates. There is no added sugar, no yeast, no salt, or preservatives. I have always been afraid of live yeast. I was a science major in college and even with 4 years of bio labs under my belt, yeast cultures on petri dishes still gave me goosebumps. When Nick suggested we bake cinnamon rolls from scratch this weekend, the first thing that popped into my mind was, OH CRAP, YEAST. Except, who knew that it was going to be so easy and that it would be so much fun to make your own cinnamon rolls at home?? 1. They are always TOO freakin’ big! Who needs 6 rolls the size of your head when you can have 12 the size of your fist you can eat and share with your doorman, or neighbors, or friends? 2. There are NEVER enough swirls!!! I am a cinnamon sugar girl, and if you don’t make your own rolls, the rolls will have 2 swirls at the most! Meaning, it is full of unflavored dough and not enough cinnamon. 3. They are always too sweet. There is always too much icing. 4. Laying out rounds of Pillsbury doughbough can never instill as much pride in you as overcoming your fear of living yeast, rolling your own dough, and baking cinnamon rolls you can call YOUR own. 5. Did someone say, TOO MUCH BUTTER? To avoid all this, I suppose the best thing to do would be to bake your own rolls. and you know what? It is SO worth it. This was originally Paula Deans recipe. I took out some butter and sugar, stretched the dough thinner, added more cinnamon, and made more swirls. The result? 20 cinnamons rolls vs. 12 and a TON more flavor! As usual, feel free to substitute ingredients. 1. Dough: In a small bowl, dissolve yeast in warm water and set aside. In a large bowl mix soy milk, sugar, melted butter, salt and egg. Add 2 cups of flour and mix until smooth. Add yeast mixture. Mix in remaining flour until dough is easy to handle. Knead dough on lightly floured surface for 5 to 10 minutes. Place in well-greased bowl, cover and let rise until doubled in size, usually 1 to 1 1/2 hours. 2. When doubled in size, punch down dough. Roll out on a floured surface into a 15 by 11-inch rectangle. Spread melted butter all over dough. Mix sugar and cinnamon and sprinkle over buttered dough. Beginning at the 15-inch side, role up dough and pinch edge together to seal. Bake in oven for about 35 minutes or until nicely browned. 4. Icing: Meanwhile, mix butter, powdered sugar, and vanilla. Add hot water 1 tablespoon at a time until the glaze reaches desired consistency. Spread over slightly cooled rolls. If you’re desiring a taste before icing, go ahead! A note to my favorite readers: I’ll be vacationing in Hong Kong for 2 months before I return to the US and move to Boston for grad school in August! I hope you all follow me and my foodie adventures to Asia and soon enough, Boston!! I am SO excited. And just for you, I’ve calculated the nutritional stats at Caloriecount.com. These stats are for one Ultra-swirly cinnamony cinnamon roll. Have you ever had those amazingly delicious dark chocolate covered pretzel crisps from Trader Joe’s?? The Snack Factory pretzel thins from the new Modern Classics line are very much the non-chocolate coated, less caloric version of that treat. My favorite, the cinnamon toast flavored pretzel crisps!! I’m not gonna lie, I also am a sucker for beautiful, colorful, gourmet-looking packaging and Snack Factory definitely has this down. You may have already enjoyed several products created by Snack Factory founders Warren and Sara Wilson. With 30 years of snacking behind them, the Wilsons were the creators and former owners of the New York Style Bagel Chip Company and the Funnel Cake Factory. In 2004, they founded Snack Factory and in 2010 launched a new line of pretzel thins with a focus on natural and healthy snacks! With only 110 calories per serving (average of about 10 pretzel thins), Snack Factory is encouraging consumers to “Rethink Their Pretzel.” Below are my takes on the “Modern Classics” line and here’s a chance for you to win 4 flavors of these delicious pretzel crisps! Tastiness: 6.5/10. Nothing against classic/plain pretzel chips, but without the extra flavoring, all I can focus on is the saltiness…which is, I suppose, inherent in all things labeled “pretzel”. These crisps are uber crunchy (not crispy) and hold up well to any dip. It also isn’t as dry as a regular pretzel, which I like. Overall, a 6 because there is nothing special about its flavors – a solid savory snack, but too salty yet still bland when eaten without accompaniments. Tastiness: 9/10. I will always be a sucker for the cinnamon and sugar combination. I have to seriously give Snack Factory major kudos for resisting over-dosing the pretzels with sugar. Although sugar comes in as the 2nd and 3rd most plentiful ingredients in the list, one serving in total only amounts to 4g of sugar! That’s definitely an upgrade from lots of sugar-laden energy bars on the market. The best part is that this was done so strategically NO flavor was compromised. Yes, it may not be sweet enough for some folks, but to me, this was the perfect amount of sweetness for an after dinner snack or mid-afternoon munchies. Tastiness: 8/10. For someone who does not like the flavor of stinky cheese, I loved the Tuscan 3 cheese!! Call me crazy, but the seasonings on these pretzel thins border more along the lines of a ranch sauce gone gourmet. I’ll call it, ranch-lite! I am more than surprised at how flavorful and delicious the actual pretzel seasonings are without going overboard. Nutritionally, the pretzels actually beat out a ton of other “healthy” products, including many granola bars, cereals, wheat thins, and yes, chips! For 2 additional entries EACH: blog, tweet, or link back on your next blog post about this giveaway with a linkback to this post. Make sure you comment in the section below for each item! Giveaway closes June 7th at 6pm CST! !